Fifty girls from all over the country spend an afternoon learning gun safety and shooting sporting clays.  About 50 teenaged girls from all over the country recently visited Old Hudson Plantation in Sparta to get some hands-on experience with shooting sporting clays. “This is one event that I wouldn’t miss,” said Ron Hess, of Putnam County, who volunteered as a shooting instructor for the afternoon. The unique event was facilitated by TeenPact, a non-profit Christian ministry based in Richmond, Va. that focuses on teaching leadership and discipleship skills for students around the country.